Laser cut 2mm MDF 15mm kit. 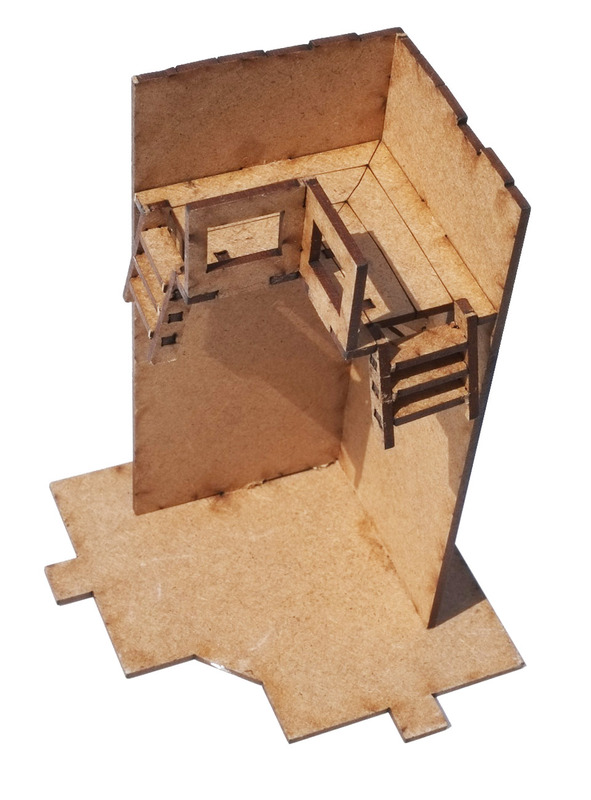 This kit is the 15mm companion to our larger 28mm version. The kit is designed to go with our Roman Wall section kit and can be used to complete an entire roman fort. The product comprises a pair of corner wall sections. Diensions - 30mm x 30mm x 68mm high. 2 Corners included in this pack.